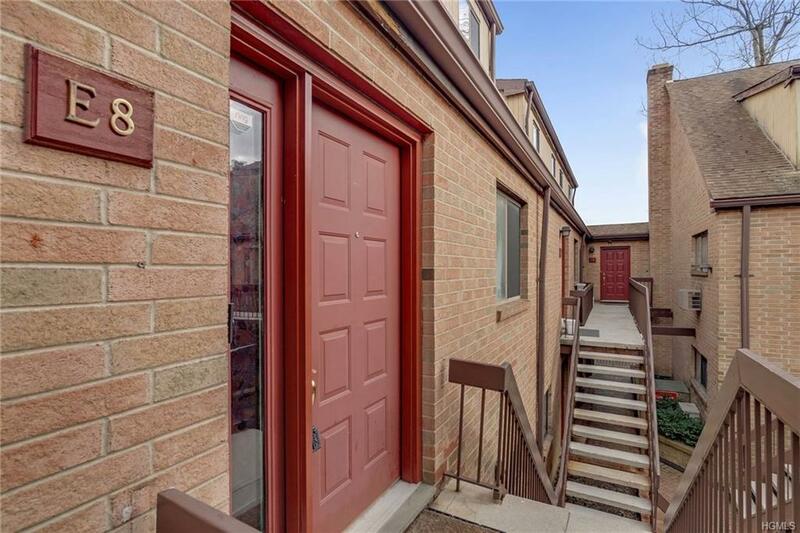 Spacious & customized two bedroom, two and a half bath duplex offers elegance & style throughout. Living/dining combination is highlighted by custom marble/mosaic wood burning fireplace. Modern eat-in kitchen, renovated powder room, entry foyer with large closet complete the first floor. Custom wood & steal banister frame the stairs to the second floor with skylight feature. Generously sized Master suite features double size closet & walk-in closet, master bath: updated with new double Kohler sinks, granite topped custom vanity, seamless glass shower enclosure with porcelain tile, recessed lighting, & porcelain floor. Second bedroom features wall to wall double closets. Full hall bath has been updated with granite topped vanity, new sink, lighting, & flooring. Hall closet houses a washer/dryer all-in-one unit & additional storage. Unit has deeded garage parking space, attic and on site storage. Great proximity to downtown White Plains and all the convenience the city has to offer. Listing courtesy of Rita Mancuso of Houlihan Lawrence Inc..